This updated, lightweight version of the Renegade Ice GTX, is designed to keep feet warm, comfortable and protected on snowy outings. 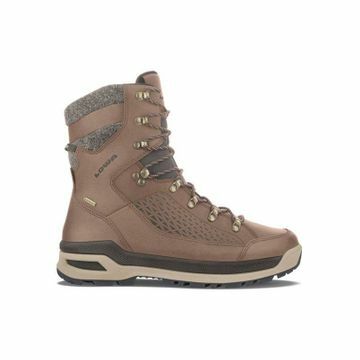 Its taller shaft provides protection from snow drifts, and the easy-flexing leather uppers make hiking and snowshoeing easy. It features a cozy Partelana lining for extra warmth, and VIBRAM’s acclaimed Arctic Grip outsole for outstanding traction on slick, wet ice. Durably waterproof/breathable.